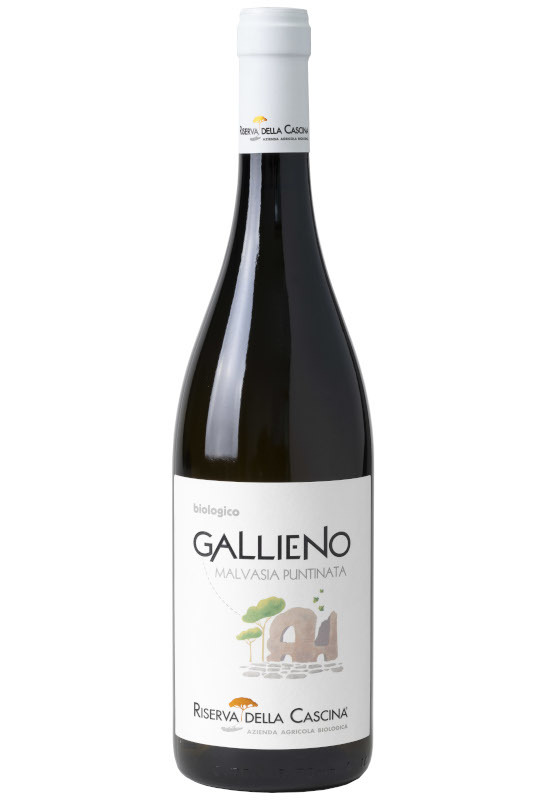 Gallieno is purely obtained from Malvasia Puntinata grapes: it is a soft white wine with a fine and elegant perfume. Its name is due to the Roman Emperor Gallieno, who ruled during the III century a.C. He was a brave leader aiming at defending the empire boundaries. Gallieno’s mausoleum lies in the ancients Appian Way, rising just in front of our vineyard and keeping us company with its antiquity air. This wine comes from an experiment that surprised us positively: Malvasia Puntinata is an autochthonous grape variety of Latium; its best expression is on volcanic ground. It is a very delicate grape variety, but its subtle aromatic nature enhances its character and pleasantness. Wine-making: white wine, short period of wood-aging, 12 months in stainless steel. Bouquet: aromatic, intense smell of ripe fruit with yellow flesh, notes of graphite and yellow flowers, slight balsamic nuance. Taste: aromatic; dry, warm, soft, quite fresh, tasty and full. Food matching: it is perfect with pasta and risotto, with structured courses, seasoned cheese, and it is really good with mushroom dishes. Serving temperature is 12-14°C.